Vinyl siding remains the most popular form of siding by far. Here are the reasons that vinyl siding is the best choice for any home. Homeowners want cost-effective ways to improve the look of their home while protecting it from the elements. 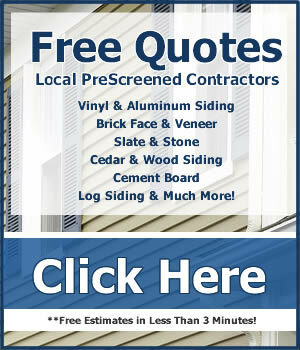 Average prices for vinyl siding are well below prices for wood siding, aluminum siding, stone or brick siding or veneer. It is the most affordable type of siding on the market. You’ll find a full spectrum of vinyl siding colors when you shop for it. Many are light and bright while others are richer and deeper. 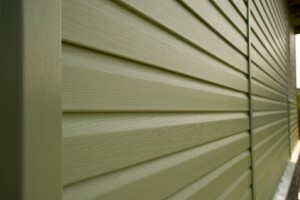 For texture, most vinyl siding has a heavy grain pattern that looks very much like painted cedar. Newer siding products offer the look of classic smoothed wood that was popular used in 19th century and early 20th century structures. It’s a great choice for any home. No matter where you live, vinyl siding will hold up very well to the sun, wind, rain and snow. Made from tough polyvinyl chloride, or PVC, it is flexible enough not to be brittle but strong enough to hold together in a storm. It resists damage from hail very well too and is protected against fading. With today’s fantastic choices, including the trim and accessory pieces available, vinyl siding is an attractive accompaniment to any style of home. It works well on upscale homes, sometimes in conjunction with brick or stone. Vinyl siding looks just as good on a starter bungalow. It works well with everything in between. No matter what style of house you have, classic, traditional, contemporary or rustic, there are vinyl siding colors, textures and accessories that will significantly improve the appearance of your home. If you decide to sell your home, recently-installed vinyl siding will improve your home’s value and increase the likelihood of it attracting attention. If your home has outdated or worn siding, new vinyl siding will boost its curb appeal tremendously. From an expense standpoint, vinyl siding costs are much lower than prices for wood, brick, stone, fiber cement board and other options. It will cost you less to make your home more appealing to potential buyers when you choose high-quality, affordable and attractive vinyl siding. These are the top 5 reasons vinyl siding is the right choice for any home. Take a look at today’s vinyl siding options. You’ll love what you see!